The Ombudsman has ordered the State to release a detailed report into a salmon farm accident which resulted in one of the largest ever losses of farmed salmon. Information Commissioner Peter Tyndall’s decision to overturn the Department of the Marine’s refusal to release the report follows a sustained campaign by environmentalists in West Cork arising out of the incident in Bantry Bay in 2014. Friends of the Irish Environment (FIE) last night hailed the success of their appeal as an important victory. The department now has 60 days to consider the ruling and mount any appeal. However, Mr Lowes said he is hopeful the information – the accident report, two separate site inspection reports from 2008 and 2013 and vital insurance claim papers — will now finally be released. Almost 230,000 salmon were lost when storms battered a salmon farm in Gerahies in Bantry Bay, Co Cork, in February 2014. 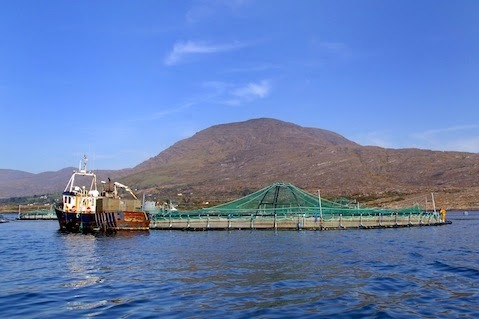 FIE subsequently sought the department’s report into the incident, amid concerns about alleged failings in the regulatory regime governing such salmon farms. However, the department refused to release the information on the grounds the “public interest would not be served by disclosure”. FIE appealed this decision to the Ombudsman, claiming it was a matter of extreme public importance, not just in this case, but also amid allegations that the department had failed to properly fulfill its regulatory functions in ensuring compliance with aquaculture licensing conditions aimed at preventing the escape of fish. FIE took their fight all the way to the High Court. It emerged during the saga that the department was “of the view” that the release of any parts of the deliberative process advising Marine Minister Simon Coveney on what action to take “would be premature and would unduly constrain the minister in respect of any action which he might deem appropriate”. Howerver, it emerged last month that the department was still not in a position to make a specific recommendation to the minister and that, at that point, no proposal for action was under consideration. The Ombudsman, which blamed staffing delays for some of the delay assessing FIE’s appeal, finally gave an undertaking to the court earlier this month to rule on the case within a week. Now, in a technically complex and lengthy decision, Mr Tyndall has ruled that the department’s arguments for refusing to release the information were not justified. He said there is a strong public interest in maximising openness and accountability in relation to how the department and the Marine Institute carry out their functions under the relevant legislation governing the aquaculture industry. He said it is difficult to follow the logic of the department’s claims that the release of the information could be potentially harmful to the regulatory process, and he found that the public interest served by disclosure would outweigh any interest served by refusal. 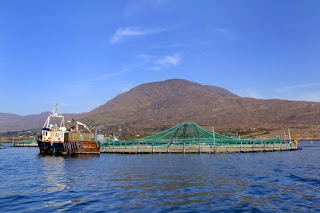 A report on the loss of 80,000 salmon in Clew Bay in 2010 blamed the department’s failure to enforce licensing conditions. That report said if a more rigorous or frequent mooring inspections programme had been in place it is possible, even likely, there would have been earlier detection which would therefore have avoided the failures.